Hello there! Happy to see you! infusion has been taking some pause and it’s been healing and rejuvenating to take space from old habits and routines, and to re-evaluate and re-connect with how we’ve grown and where we’re at now, in the present. 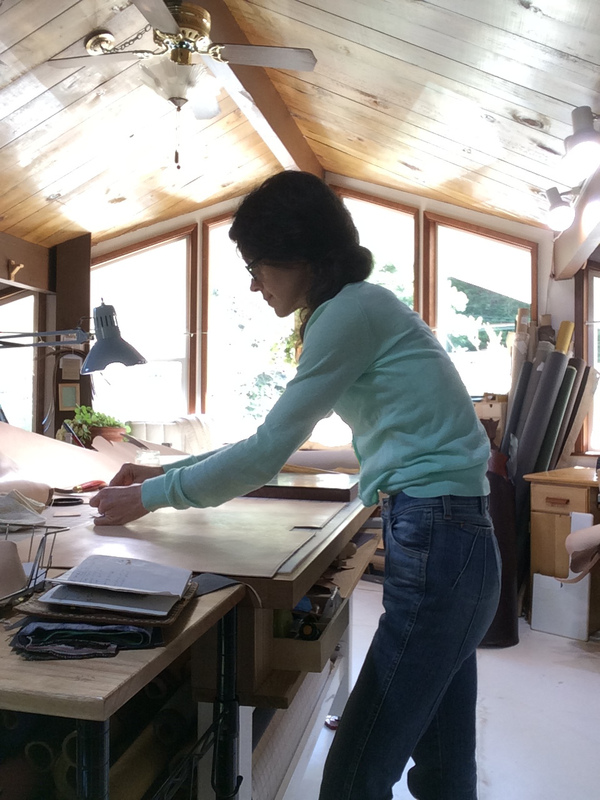 Recently I’ve been picking up some unfinished projects from my sewing cart and I’ve added a few new items to the shop, if you’d like to take a peek. This tote came out of one of my most recent natural indigo dye sessions. This dye piece, using itajime shibori methods, was my favorite of the batch. Love the depth of the blue and the watercolor effect on the edges of the resist! The base and straps of the bag are natural, vegetable tanned leather, which will darken in color with time and use. 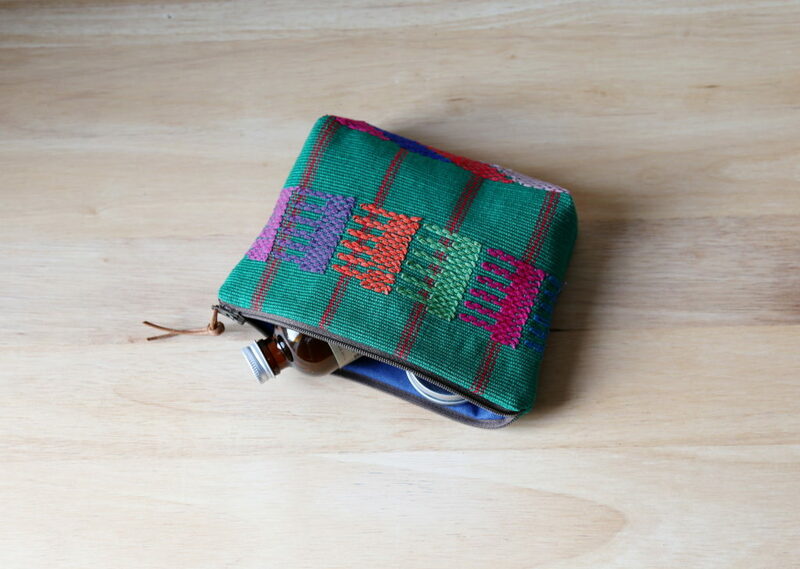 A one of a kind pouch, made with a handwoven textile and lined with organic cotton canvas. 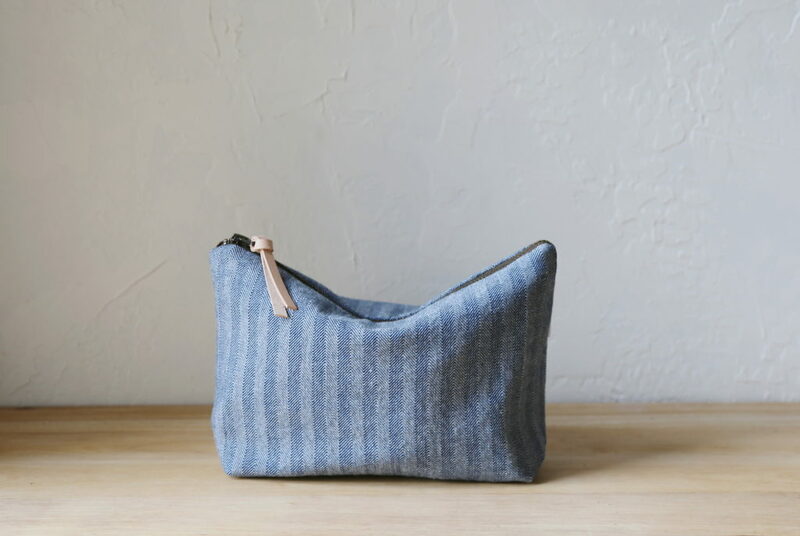 And a herringbone denim pouch, lined with one of my favorite hemp/organic cotton denim materials. 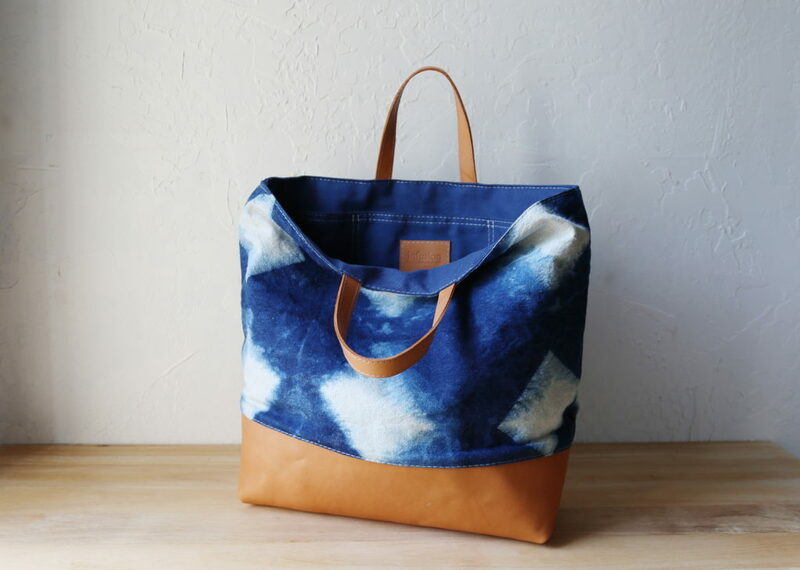 Love the subtleties of indigo dyed tote. They’re all beautiful and look like they’ll really last! Nice work!